First published as a booklet for distribution at a children’s book fair, Winning Books was later massively extended and came out as Children’s Book Prizes (Ashgate, 1998). Now further revision has occurred and the work has reverted to its original title, but comes from a different publisher (and with a different dedication) as a rather less well-designed paperback. 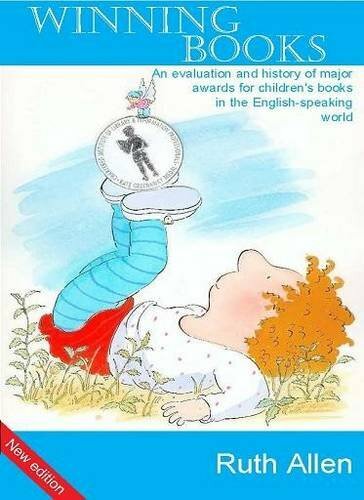 The explanatory sub-title remains: ‘an evaluation and history of major book awards for children’s books in the English-speaking world’ and the revisions consist of an increase in the number of awards considered (but retaining any, such as the Kurt Maschler ‘Emil’, that have ceased), a complete update of winners and, where they have been found, runners-up, and an extension of Ruth Allen’s commentary, including a new chapter on ‘Harry Potter and the Crossover Phenomenon’. That commentary is the most notable feature in what would otherwise be merely a succession of lists, quite a few of which would have little meaning for dwellers on one side or other of the Atlantic or in the northern or the southern hemisphere. Ruth Allen gives brief, but necessary, historical information about the founding and evolution of many of the chosen awards, and occasionally adumbrates criticism of judging procedures and choices. Those ventures into comparative assessment suggest that she would be more at home with longer and more fully articulated arguments impossible in the midst of the mass of tabulations in the generously laid-out lists. In so far as she (rightly) sees the changes in the types of award and in the character of the books chosen as reflecting changing public attitudes towards children’s books, I think that any future edition of her survey should bring in, and give full discussion of, the currently excluded Hans Christian Andersen and Eleanor Farjeon Awards.